It is fall in Japan. Cool and tasty season! for rice, I'm excited to eat newly croped rice so much! In November, we cerebrate "Shichigosan". Girls enjoy wearing kimono and putting make up on them. when I cerebrated Shichigosan at 7 years old. kimono. Girls can do this when they are dressed up. was handed to them, they started posing like a samurai! That's so boys! 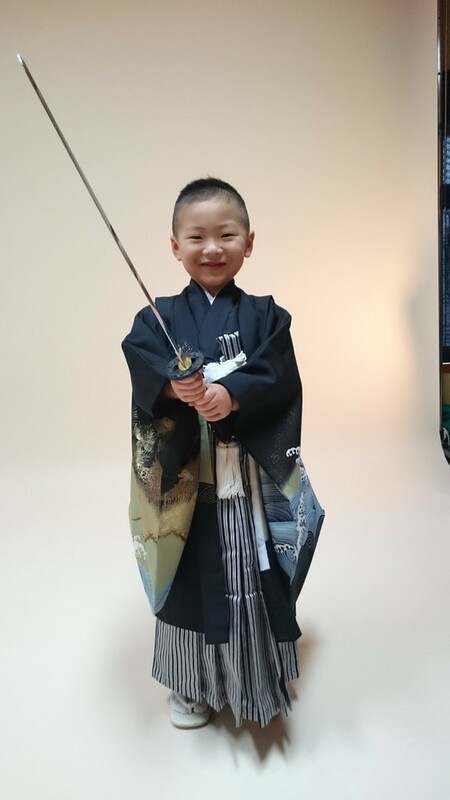 They enjoyed to be a little samurai so much! I love to see those little princess and samurai in kimono in November. I pray for their healthy grow from the bottom of my heart. 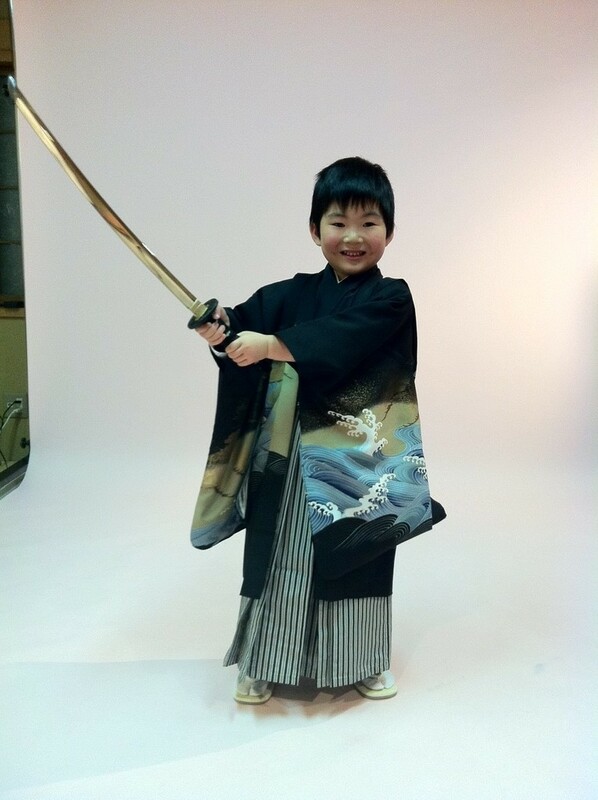 Do you want your kids to wear kimono? Since kids eat, jump, fall down and cry, it is risky to put silk kimono on them. No worry! 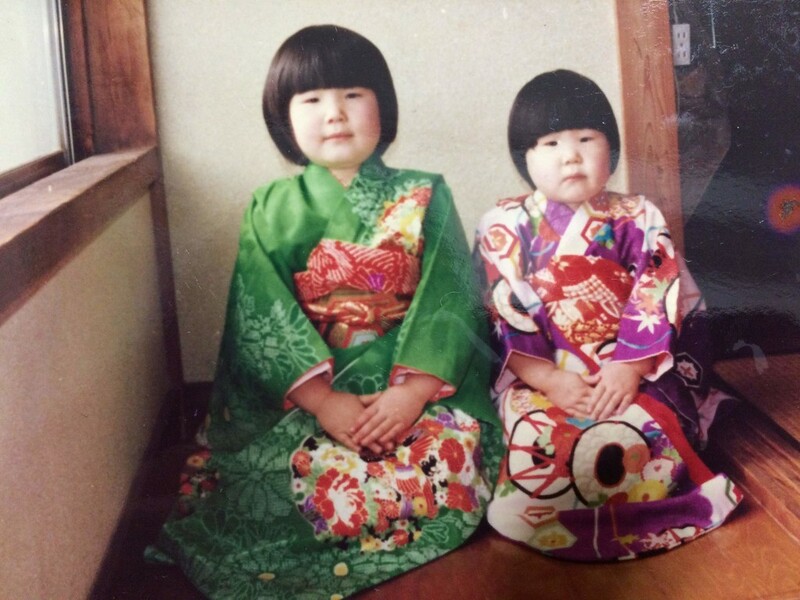 We carry polyester kids kimono! It is a lot easier to take care of it! We make "kimonotte" original girl's kimono! 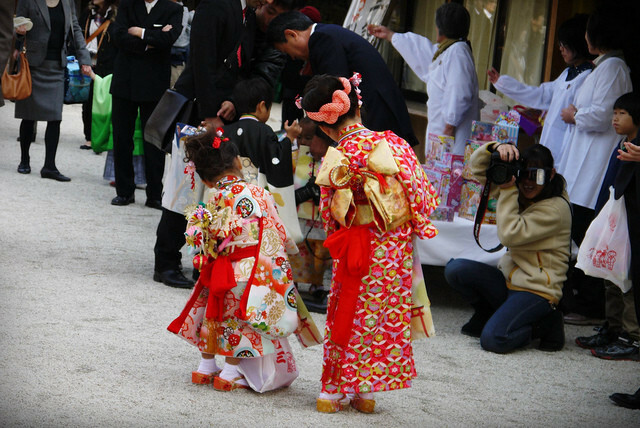 children or grand children in kimono! Thank you for reading my newsletter! See you next time!